Three days packed with information for all users of Missouri criminal justice computer systems on topics ranging from MULES/NCIC policy, Crime Reporting, and criminal justice information security. 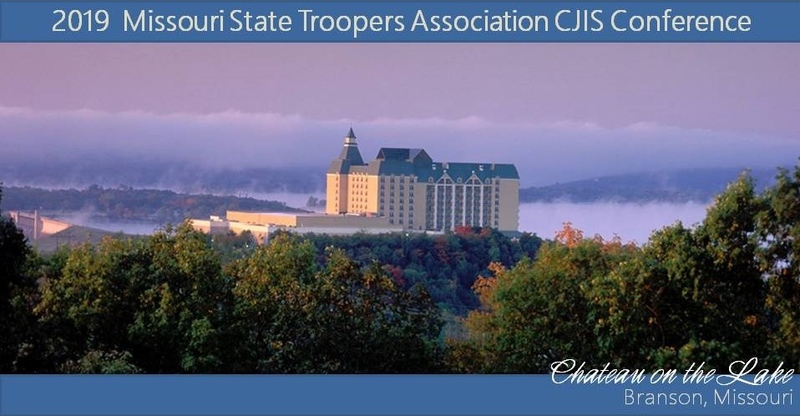 The Missouri State Highway Patrol Criminal Justice Information System will be hosting the 2019 Missouri CJIS Conference, sponsored by the Missouri State Troopers Association. The Conference is designed for all individuals with an interest in Missouri's Criminal Justice Information System . We hope to see you September 24-26! Early registration prices are good until Friday, August 23, 2019. Conference Registration prices will increase to $325 after this deadline. Day Passes increase to $140 per day. Lodging rate is $94 per night if booked prior to August 23. Reservations must be made directly with Chateau on the Lake. Call (888) 333-5253 or follow the link on the registration website. Please let them know that you're registered to attend the CJIS Conference to receive our special discounted rate. A 1-night deposit will be charged at time of booking. Cancellation or changes only allowed 2 days before check in date.